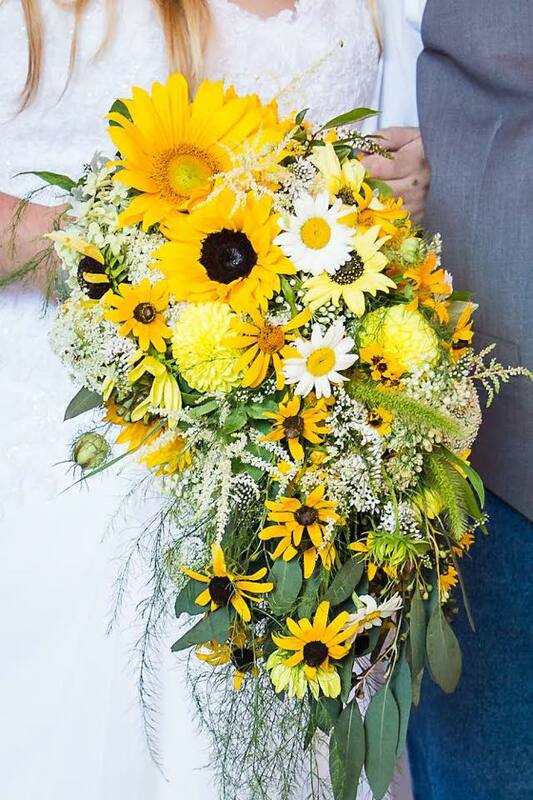 Locally grown sunflowers, foraged Black-eyed Susans and blooming milkweed were just some of the favorite flowers featured in this a la carte wedding (bouquets, boutonnieres and corsages). Photography: M & J Photography. Local flowers: Green’s Garden.